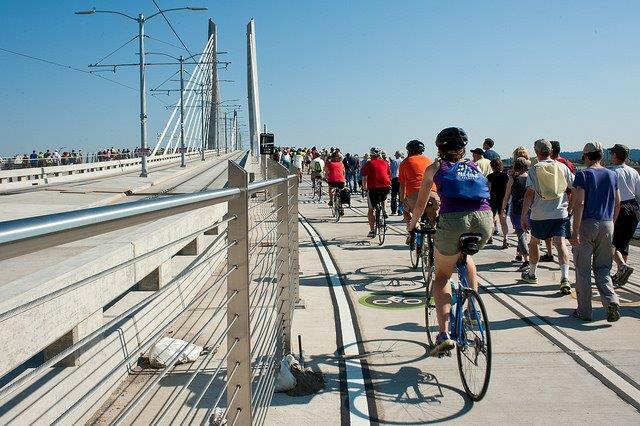 TriMet is gearing up to create our first-ever Bike Plan—a roadmap that will help guide future investments in biking infrastructure and amenities. This includes improving bike access to transit, expanding parking options, and accommodating bikes onboard buses and trains. 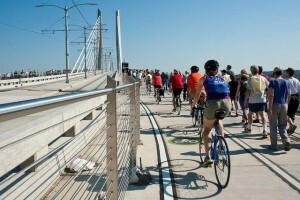 The goal of the plan is to make bike+transit trips easier, safer and more convenient for more people, especially to address the “Last Mile” connection for riders to get to jobs. First, we need your help: We’re asking riders, cyclists, residents, businesses and community groups to weigh in and tell us what’s most important to them when it comes to bikes and transit. Between Oct. 5-31, visit trimet.org/bikeplan and take a quick survey and a map-based exercise, email at bikes@trimet.org or call 503-238-RIDE (7433), option 5. A state grant will help fund development of the Bicycle Plan. The grant is part of the Transportation and Growth Management (TGM) program, a partnership between ODOT and the Department of Land Conservation and Development. TGM grants support communities in Oregon that are working to create vibrant, livable places where people can walk, bike, take transit or drive where they want to go.